The Black Ronin Tactical Tomahawk axe features a tempered 420 stainless steel, one-piece full tang construction, black non-glare finish with nylon cord wrapping grip. 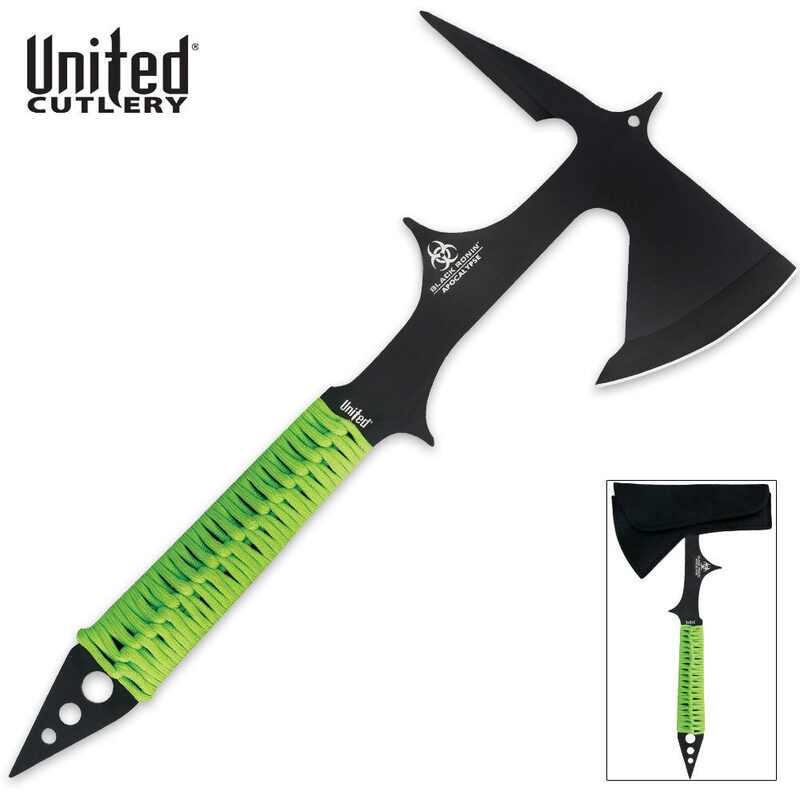 Zombie Apocalypse edition of our Black Ronin Tactical Tomahawk - Throw Chop Spike, with bright green cord wrapping and biohazard artwork. I got this axe and thought it was awesome came with a zombie set I ordered its well made and takes a nice edge, sharpened the point on the bottom,top, the back spike and now its crazy bad a**. I can throw it just about any direction I want and it'll stick great throwing axe for sure and it'll take out any zombie.